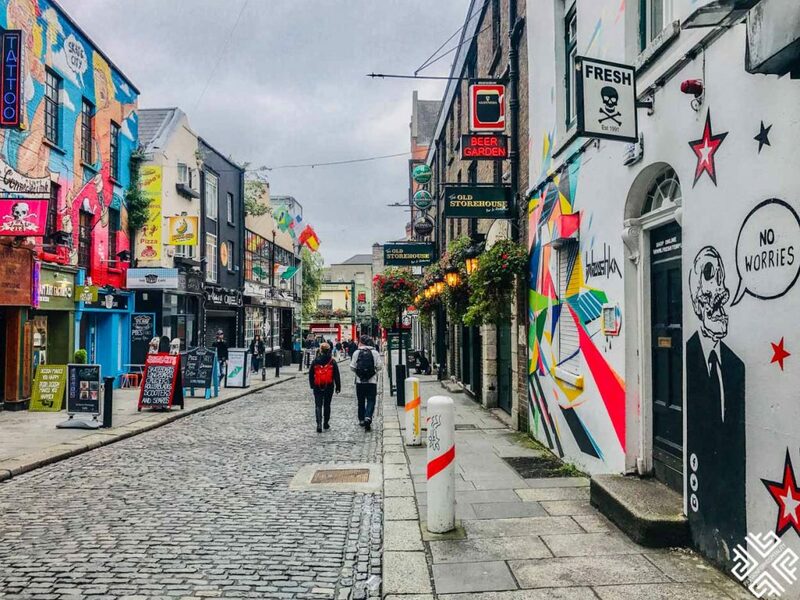 Dublin with its nightlife, vibrancy, energy and young population is a hub for anyone who wants to experience the hustle and bustle of a touristic city. The city that always seems to know how to have a good time is teemed with incredible attractions, can easily be explored on foot, and is the perfect place to spend 2 days in. 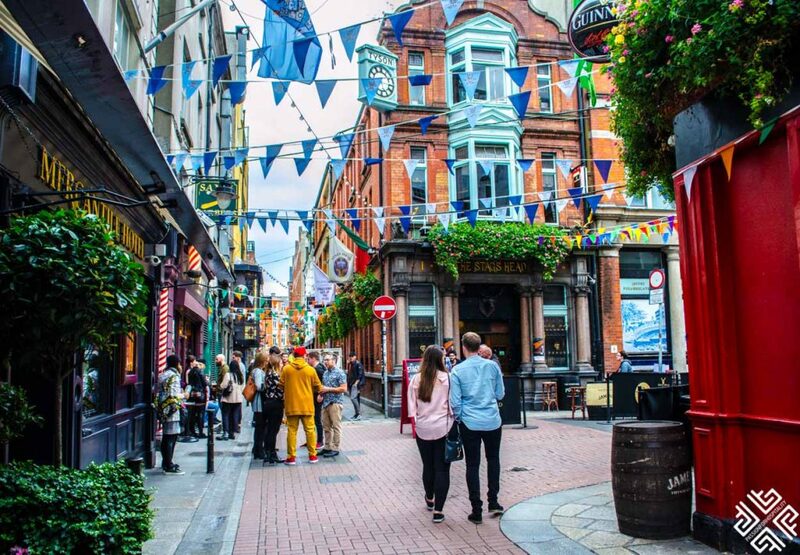 A 2 Days in Dublin itinerary means you’ll get to experience the friendly atmosphere of the city, revel in unique landmarks, enjoy world-class shopping and spend your nights at lively pubs. 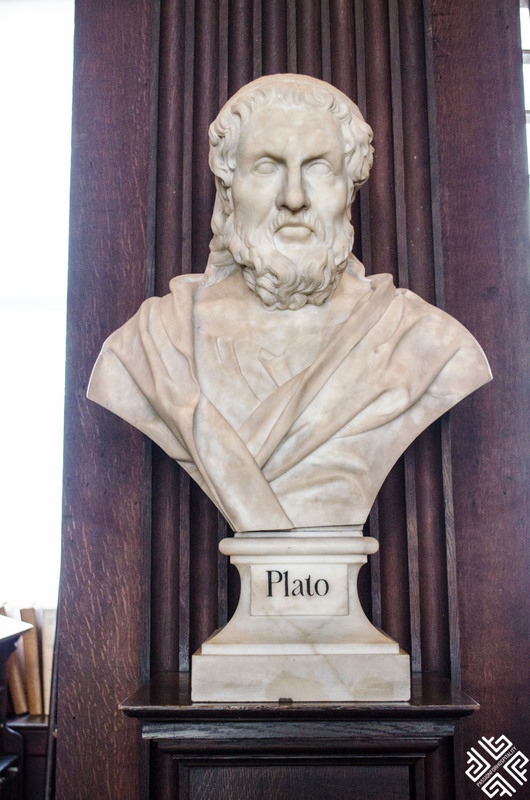 There are layers of history to be unfolded and the city’s personality goes a long way – and for good reason! There are thousands of people from all over the world who live here, adding an oomph to this multicultural city. 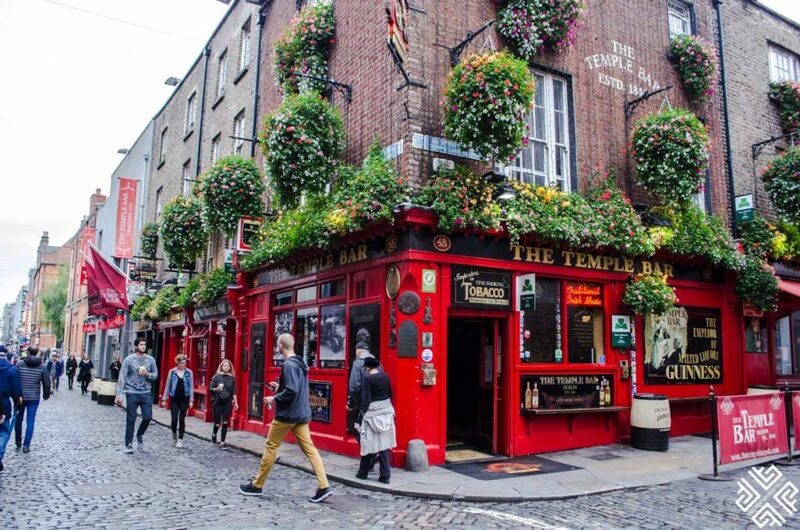 Here is our guide to how to spend two days in Dublin and beyond. Your first day will probably be rife with jet lag, and so was ours. 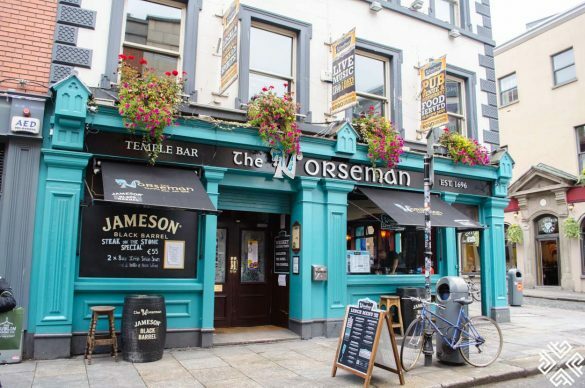 When we arrived to Dublin, we dropped our bags off at the Tipperary House where we stayed and enjoyed dinner at a local pub nearby. 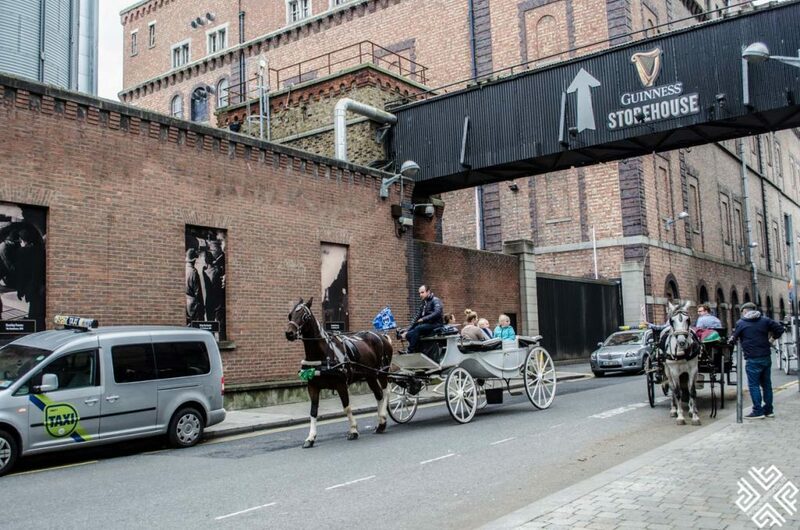 The area of Dublin’s Parkgate St was right across from the Guinness Storehouse (one of the main tourist attractions in Dublin) and is right along the banks of the River Liffey. The best way to get from the Dublin Airport to the Dublin City Centre is by using the Airlink Express Shuttle Bus. This will transfer you directly to the city center, and will even stop at various locations on the way in case your hotel is further or nearer. It will take you about an hour, and you won’t have to deal with cabs, long lines at the bus, traffic problems, or trying to find your way around public transportation. Our first day, we actually started really early to be able to get the most out of our Northern Ireland tour. On our way we got a little bit of a gist of the political history of Ireland, the difference between Northern Ireland and the rest and much more. After arriving, you will immediately understand why the first attraction we stopped at was thought to be supernatural. The Dark Hedges, look otherworldly, and are one of the most famous attractions in Northern Ireland. 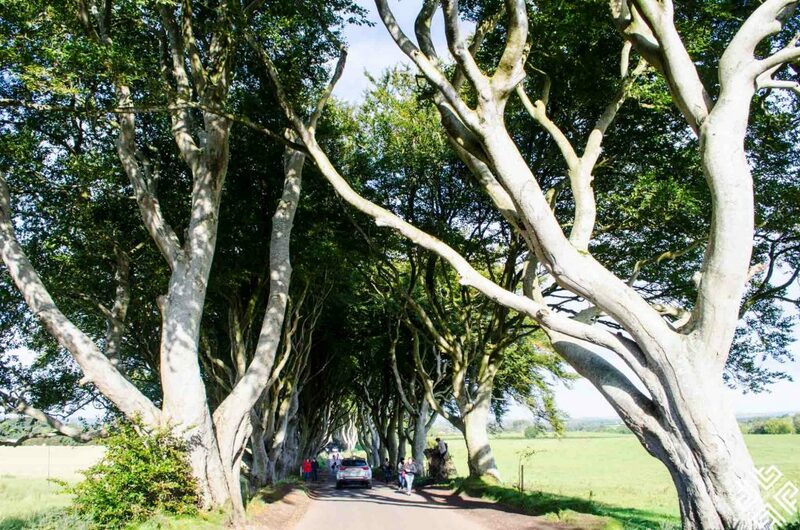 This avenue of large trees create an otherworldly looking tunnel that has been made famous by series like Game of Thrones. 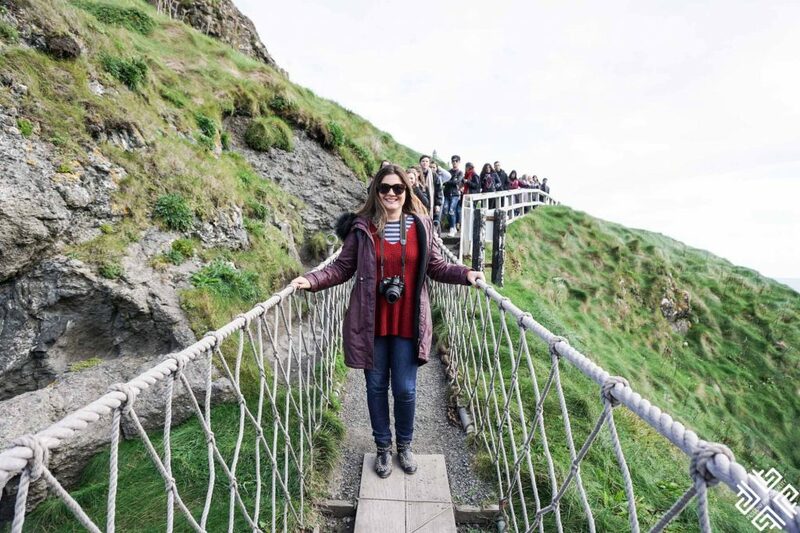 Next, we walked to Carrick-a-Rede, the infamous rope bridge that has topped the bucket list of thousands of travelers for the past few years. You’ll be dangling 100 feet above pristine waters, perched between gorgeous attractions and soaring cliffs. Walking there will take you on a journey back to the 1700’s as you brave the heights and live the same way salmon fishers used to. Make sure to really savor the views and the surrounding natures – who knows, you might catch some dolphins and sharks in the waters! Walk over to the Causeway – a stunning rock formation with popular mythology attributes that dates back to over 60 million years. The renowned story talks about Fionn the giant who fights against Benandonner and the stones were used as a pathway to carry the giant across the sea. The Giant’s Causeway still remains one of Ireland’s top tourist attractions, dramatic, grand and a striking landscape altogether. It’s also very well persevered, so make sure you check out the Giant’s Boot, the Wishing Chair, and the surrounding scenery. 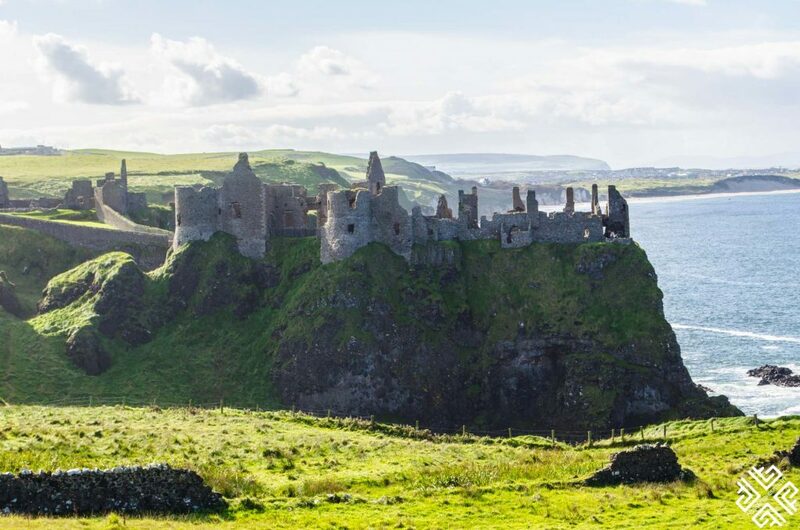 After that, we stopped by the Dunluce Castle that dates back to the 1400’s and is considered one of the nicest and most scenic castles in Ireland. It has a unique history and is a well-preserved historically significant castle that you simply can’t miss out on. 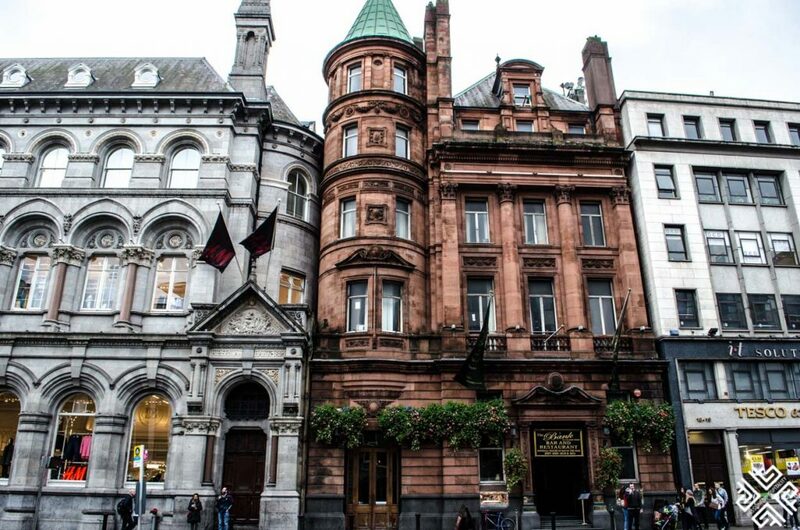 After that we went to Belfast where we spent about 1.5 hours walking around and exploring what we could of the city. 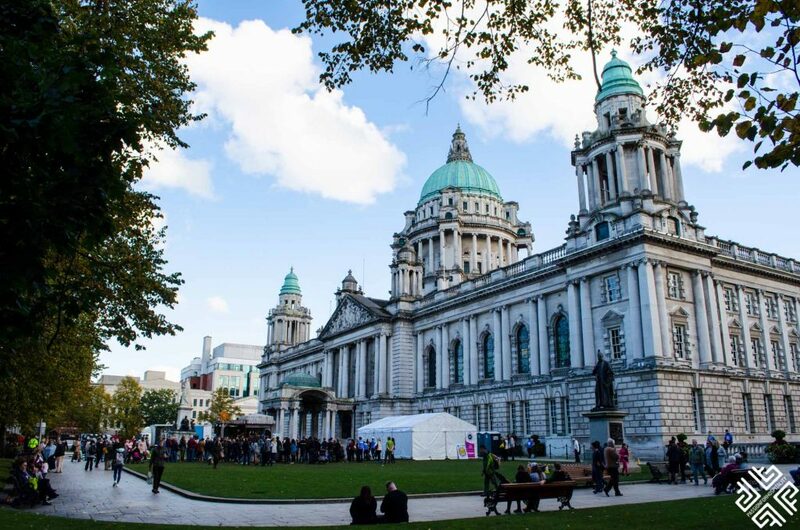 The first was the Belfast City Hall, then we went up to the Dome at Victoria Square for incredible views of the city. 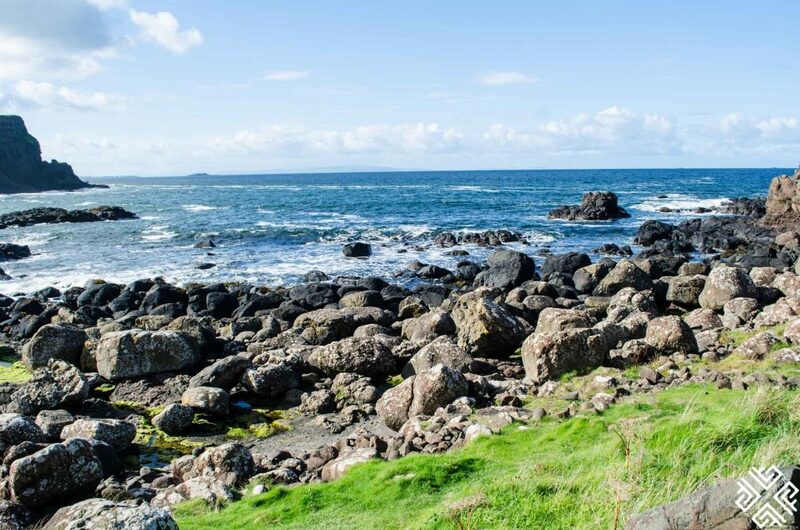 If you are planning to rent a car during your trip to Ireland check out this post on the 20 helpful driving tips for the best road trip in Ireland. We arrived at 8 pm to Dublin, and had a walk along the Dame Street. We used our remaining few hours of the day to walk around shops, and explore the surrounding pubs. Spend your morning walking along Crown Alley Street – one of the coolest streets in Dublin. 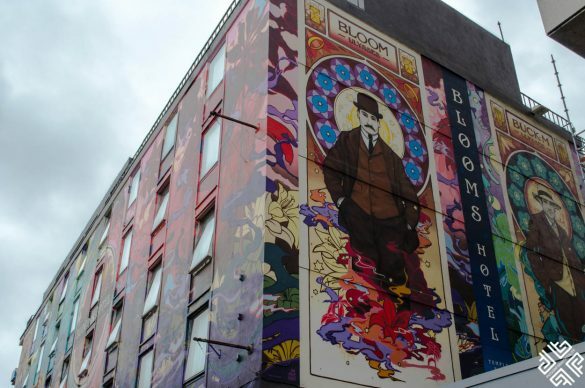 It is brimming with fresh street art and is definitely one of the most Instagrammable spot of Dublin. 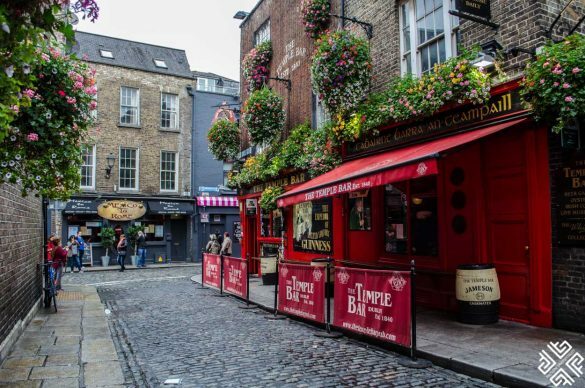 Next, you’ll spend most of your day at Temple Bar. 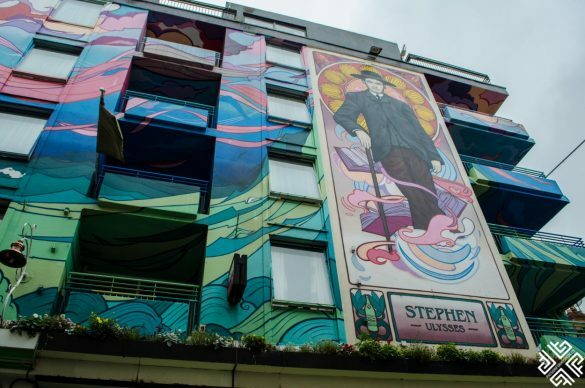 This place effortlessly combines everything that is good about Dublin in one place – the pubs, galleries, restaurants, the atmosphere and allows you to explore it all in the cultural heart of the city. It has always been a popular spot ever since 795 A.D.! Check out the street artists, the open air markers, and see if there are any free concerts taking place when you are there. The Molly Malone Statue is worth checking out if you’re in Dublin as well. 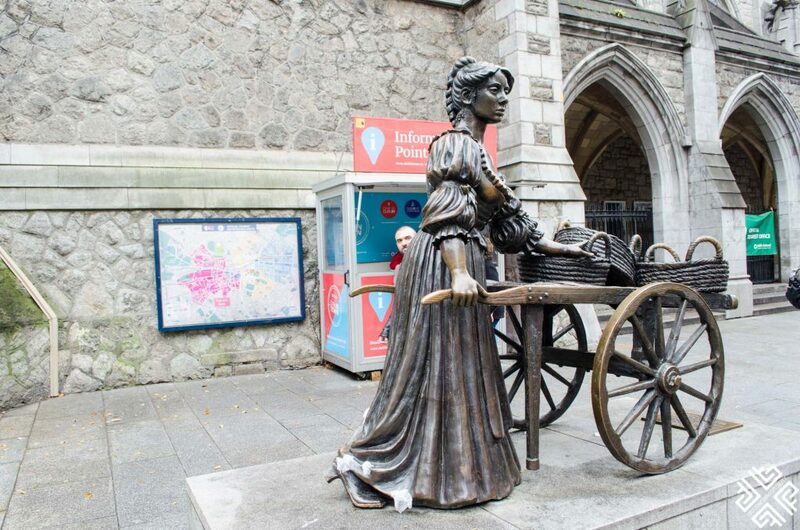 The statue is half historical, half legendary and reflects the tragic story of Molly Malone and her story. 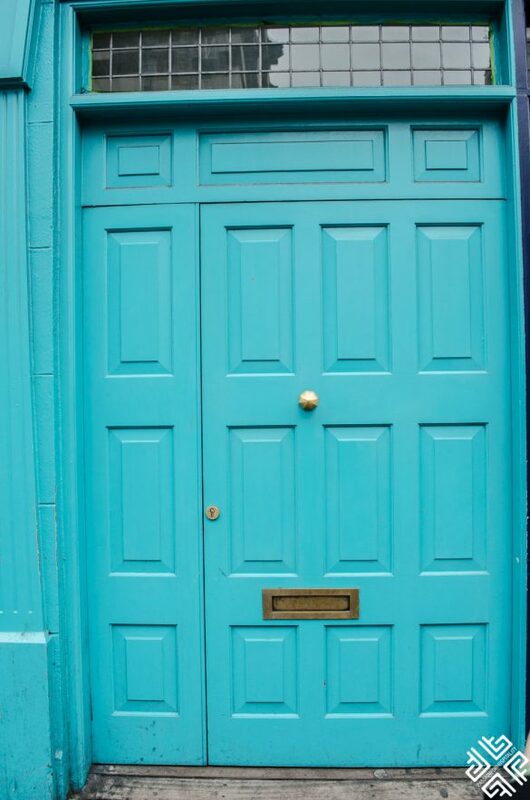 How many Doors of Dublin did you photograph? 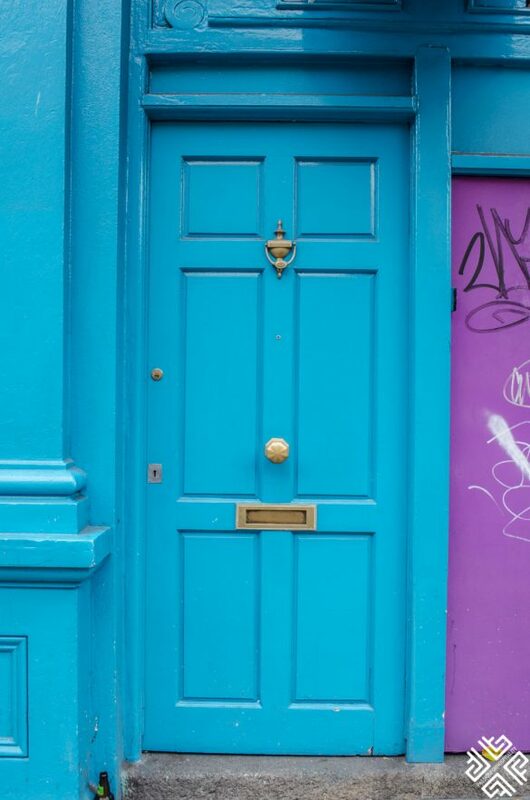 The Doors of Dublin is something you will definitely spot when strolling around the city — that’s because they are everywhere and add a wonderful slash of colour, especially when skies are grey. 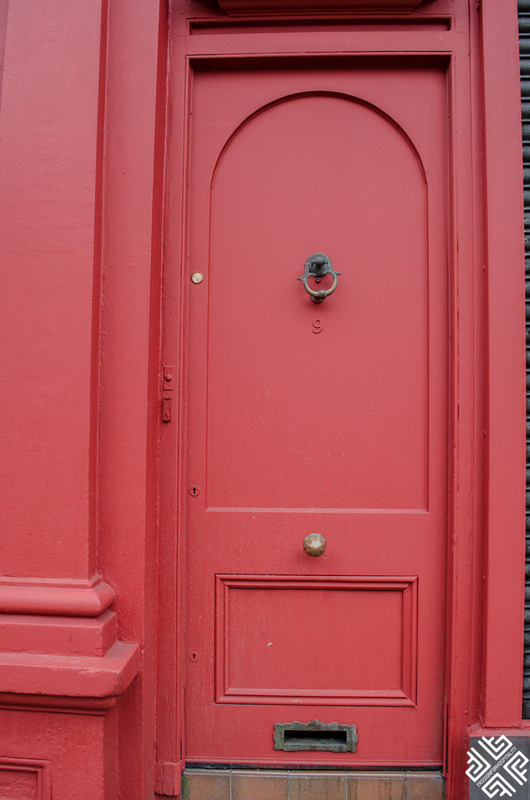 You will not only see the doors on building but on souvenirs and postcards too. 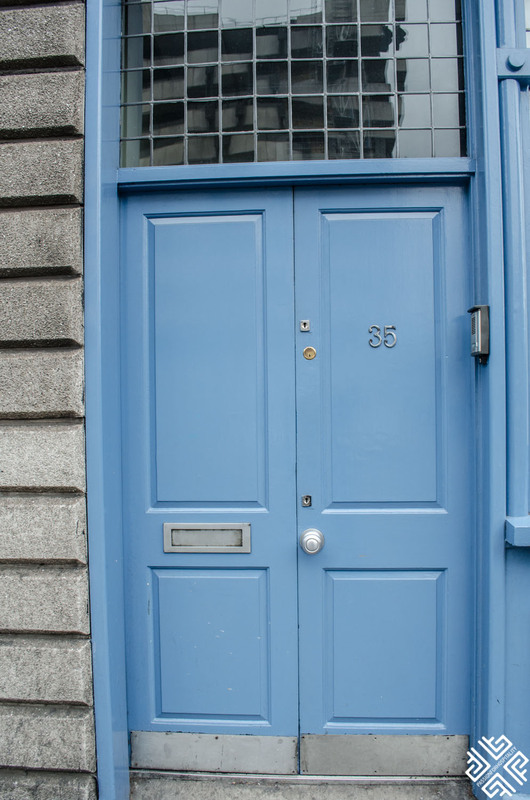 The story of the Doors of Dublin becoming such a landmark all started in New York in 1970 when a man by the name of Bob Fearon travelled to Dublin and took endless photos of the doors. He later created them into a collage which was used by the Irish Tourism Offices in NYC — to decorated the main window in 5th Avenue on the occasion of St. Patrick’s Day. As a result people loved it and the whole idea became commercialised. 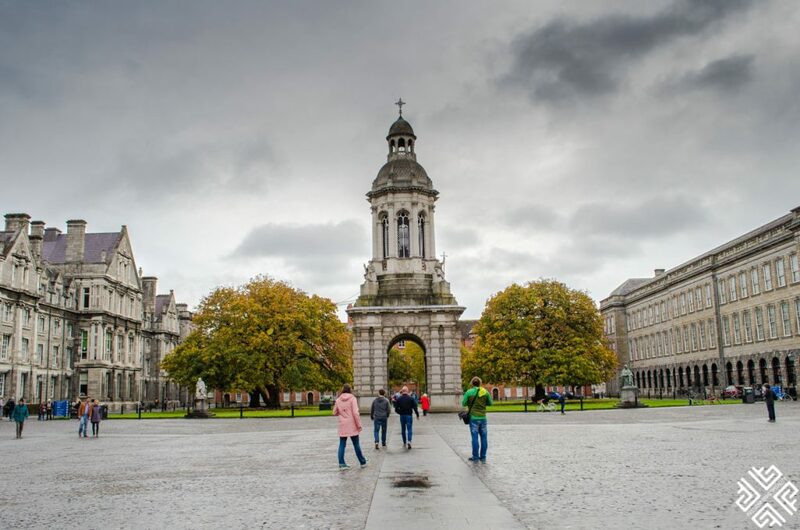 We recommend going to the Trinity College and the Book of Kells on a combined tour led directly by the students so you can get more of a detailed tour. 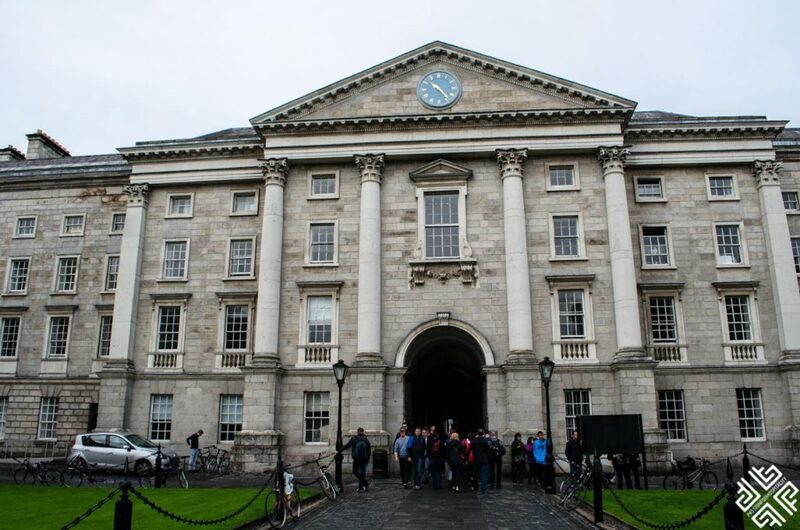 The tour lasts for around 35 minutes but will take you through the four major squares of the college, shares with you detailed insights, and talks about the traditions that go way back. 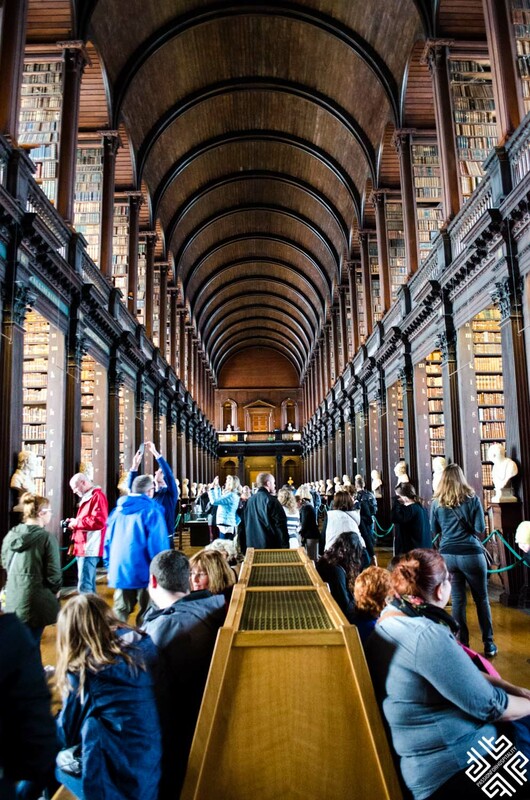 The Book of Kells Exhibition is a top must-see for anyone who is visiting Dublin, even if it’s for a few hours. 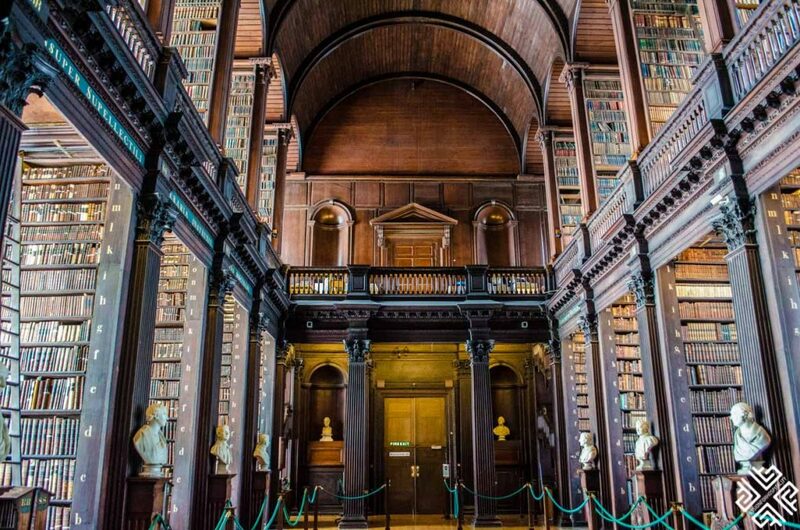 Visiting there will take you on a mystical journey to the 18th century and the illuminated manuscript housed inside the library date back to 800AD. 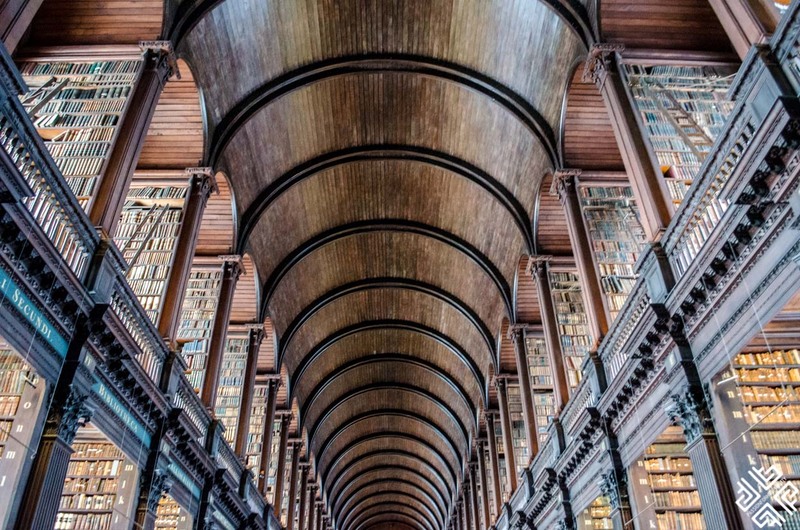 The medieval manuscript was penned by monks years ago and it’s not only Dublin’s most precious artifact but also Ireland’s. 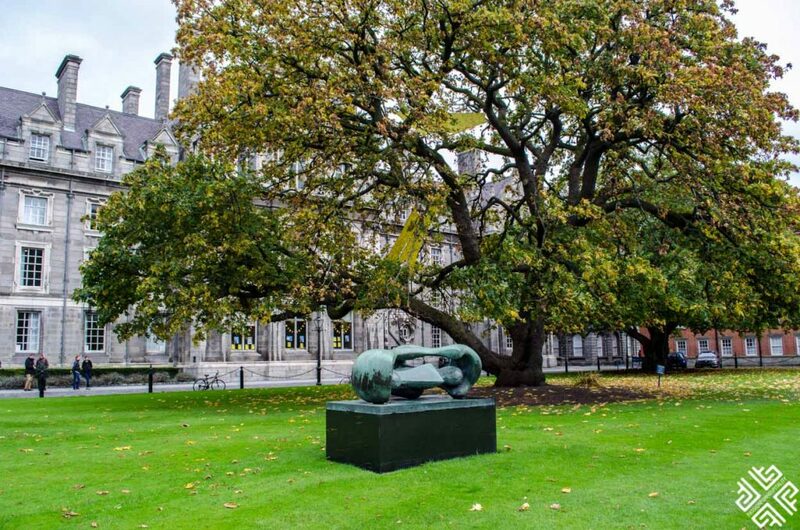 The keystones at the Trinity College’s courtyard each feature a carved head that depict Homer, Socrates, Plato and Demosthenes and at the corner you’ll find statues – each dedicated to divinity, science, medicine and law. 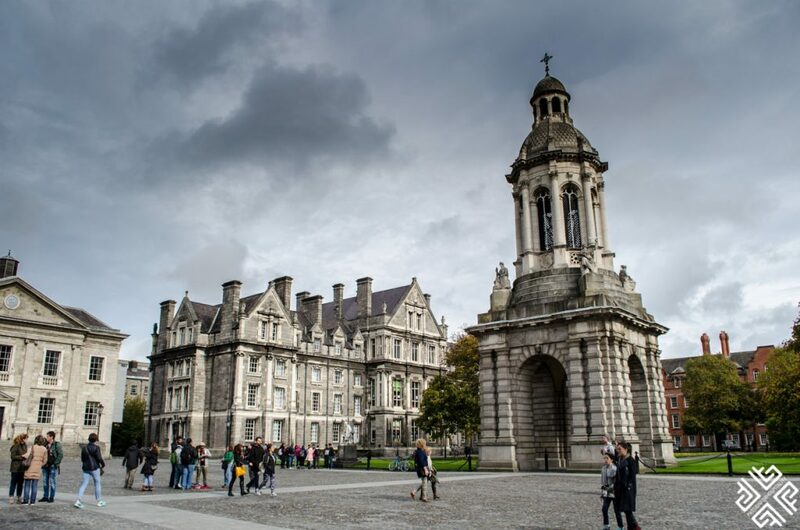 Trinity College currently has 17,000 students with 60 of whom are scholars and get privileged free study and accommodation for 5 years, in addition to a meal per day. *Did you know: The maple trees on the grounds were planted to protect the books of the library as they pumped the water from the ground. 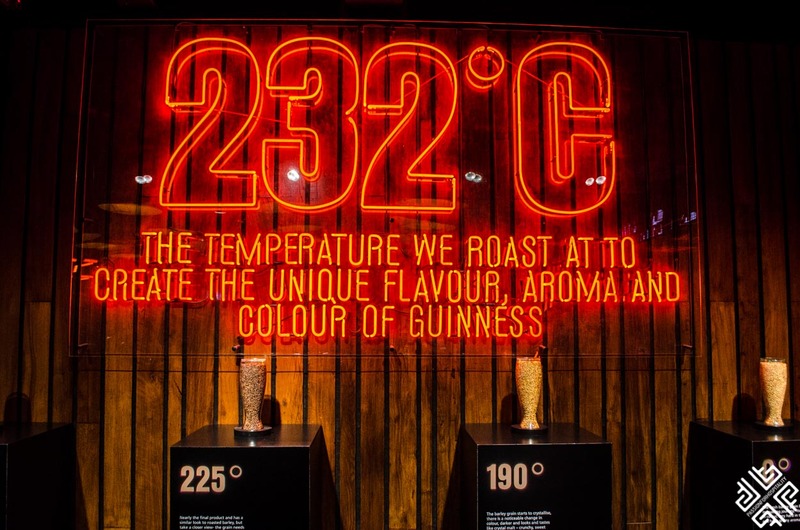 After we completed our tour of the Book of Kells Exhibition we headed in the directions of the Guinness Storehouse. 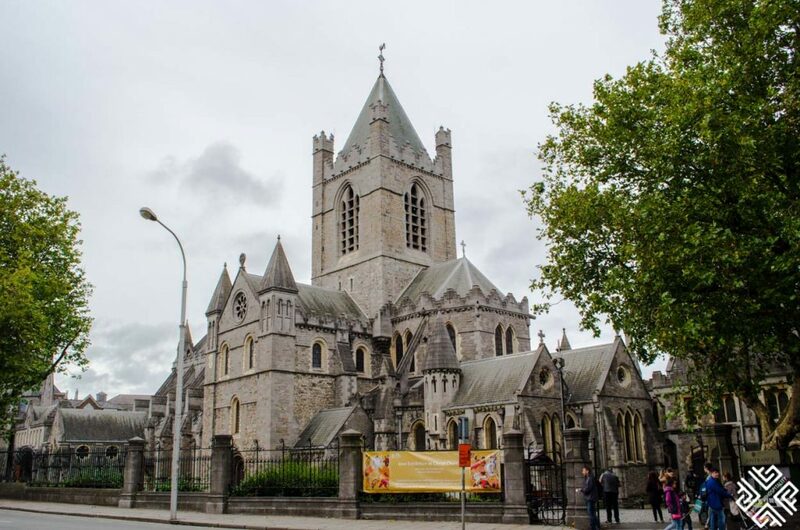 On our way we passed the famous Christ Church Cathedral which rises over the oldest part of the city and is one of Dublin’s most important historical buildings. Completed with magnificent stonework and impressive pointed arches it is the mother church for the Diocese of Dublin and Glendalough of the Church of Ireland. 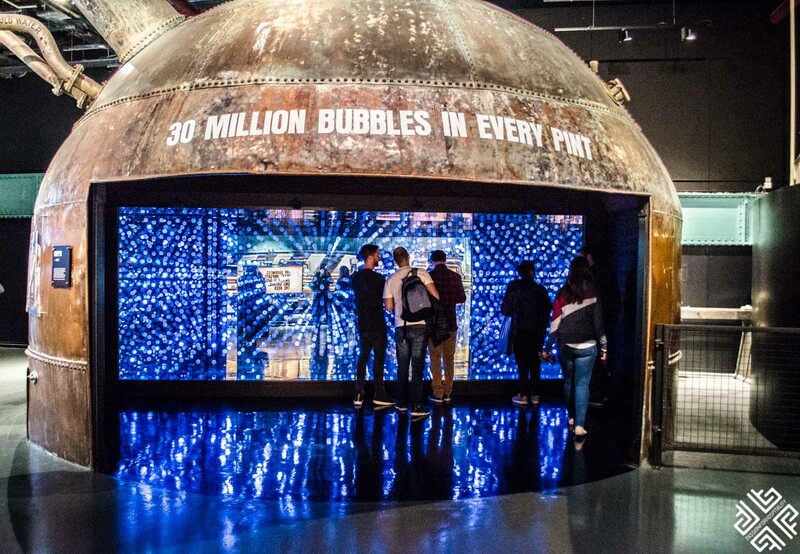 This is, without a doubt, one of the country’s top tourist attractions. 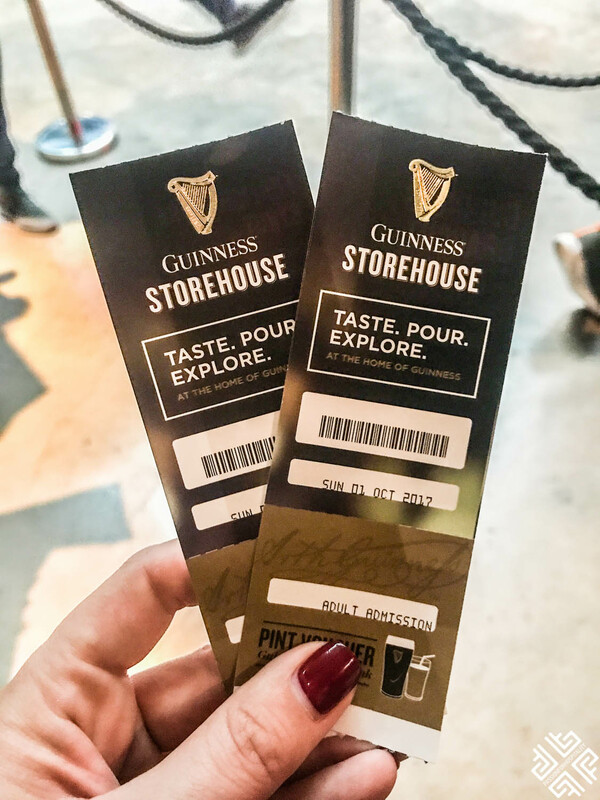 Located near St. James’s Gate Brewery in Dublin, the storehouse is a place you go to in order to embark on a journey through the brand’s history that spans over 250 years. Experience Guinness like nowhere else, learn about the art of brewing, enjoy a pint at your own leisure, and appreciate the distinctive taste. 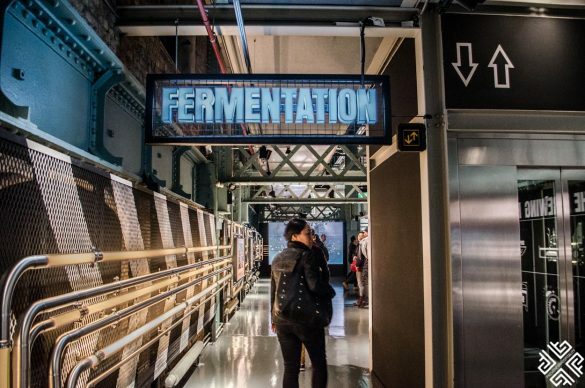 We recommend staying at least 2 to 3 hours so you can fully enjoy the experience! If you only have 2 days in Dublin, this should be on top of your list of things to do. 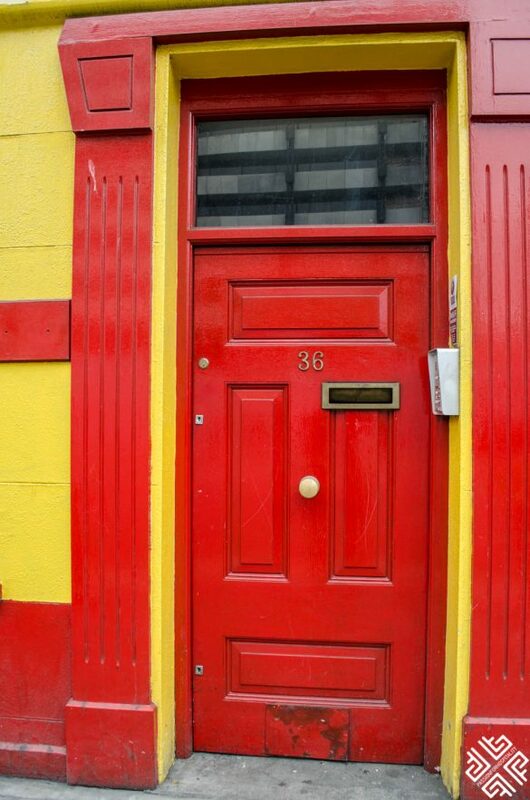 The walk up rate at the door is €25. It is advisable to book in advance online here as it will be cheaper. 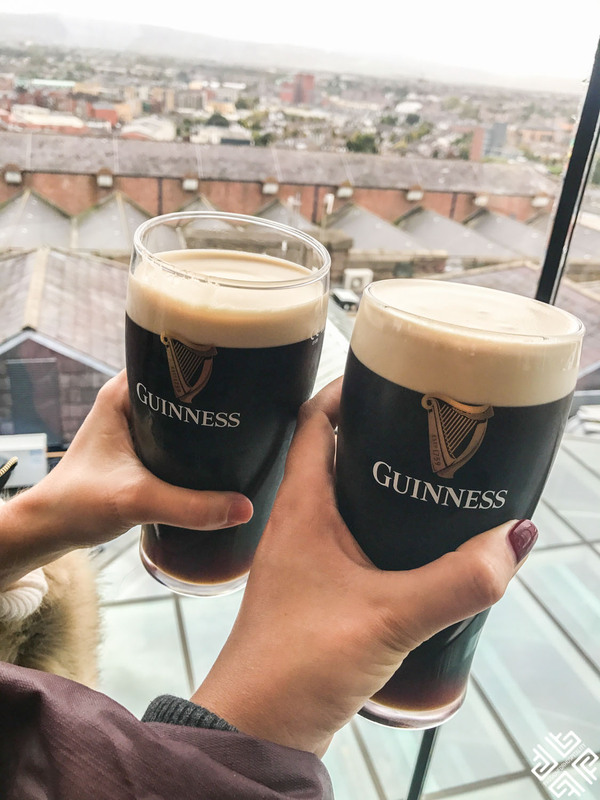 If you have more than two days in Dublin, then I recommend going on a day-trip to explore all what Ireland has to offer. 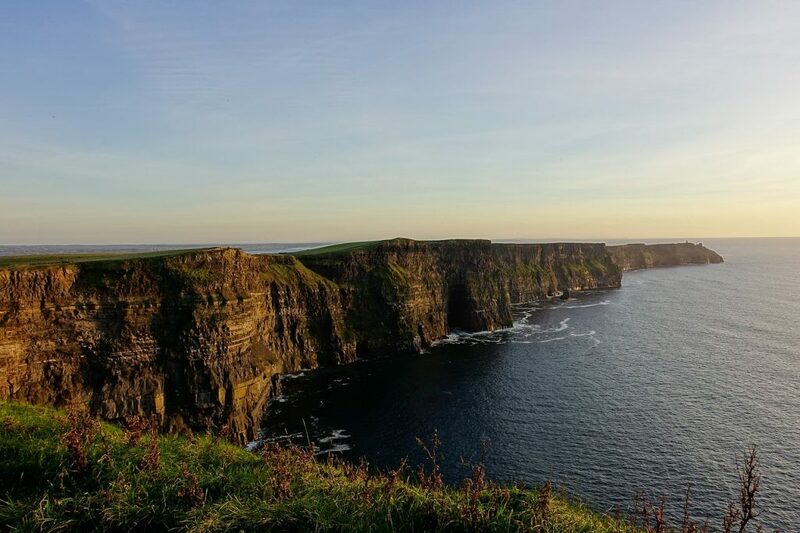 Take a full day tour to the stunning Cliffs of Moher, where you’ll marvel at the historical and natural artifacts, revel in old world charm, and truly take in the quintessential vibe of Ireland. 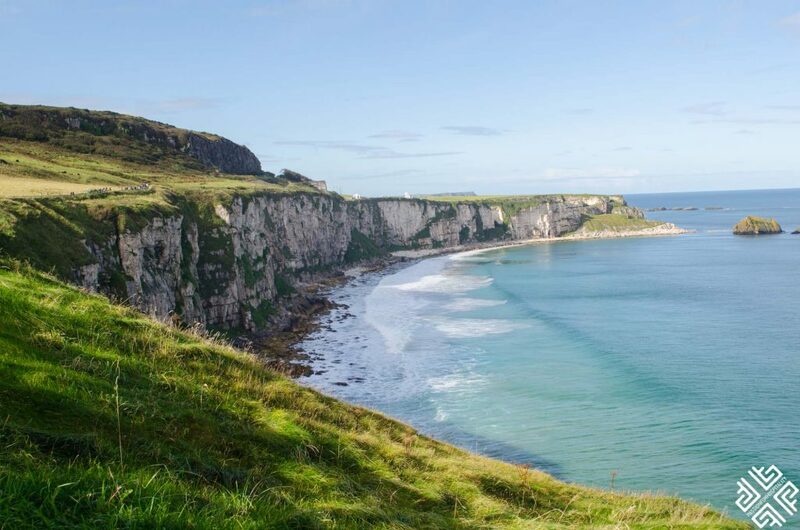 From the coastal route, to the Dunguaire Castle, to the Burren, to the actual Cliffs of Mohr – it will be like visiting one stunning landscape after the other. 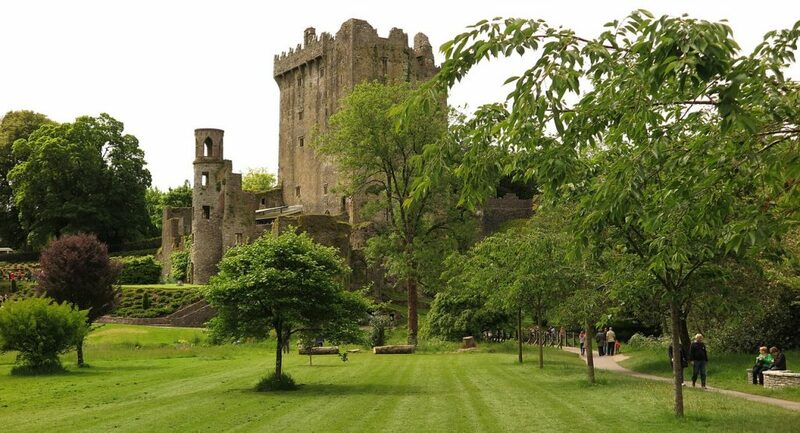 On a full day Blarney Day Tour you can enjoy a panoramic drive that will lead you to the renowned Blarney Stone at the Blarney Castle. The place is nothing less of legendary – literally. It is said that if you kiss the stone you will be given the “gift of the gab” after 7 years. After blessing yourself with some good old Irish luck, it’ll be time to explore the castle grounds and gardens, and discover the beauty of the caves around – specifically Witch’s Cave. What better way to savor Ireland than to be right in its medieval heart? 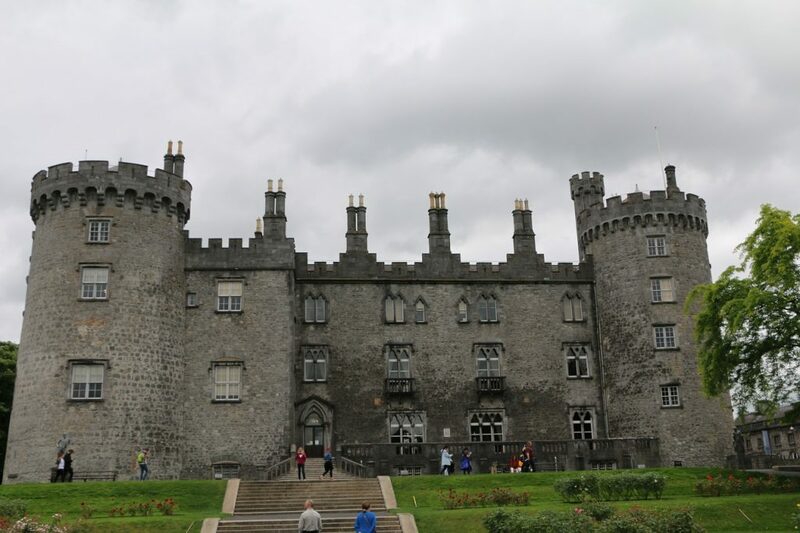 By exploring Kilkenny on a full-day tour you will be enamored by the history of the place, its narrow streets that brim with stories, the oldest brewery in Ireland, mansions, Viking artifacts and much more. 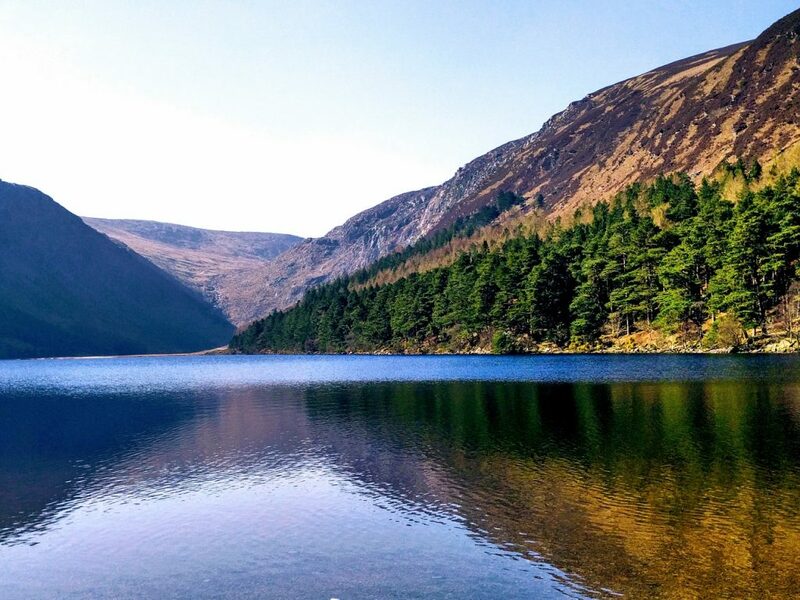 Wicklow’s Sally Gap is a sprawling wild landscape that exudes beauty, and Wicklow itself is definitely worth exploring to get a taste of authentic Ireland. 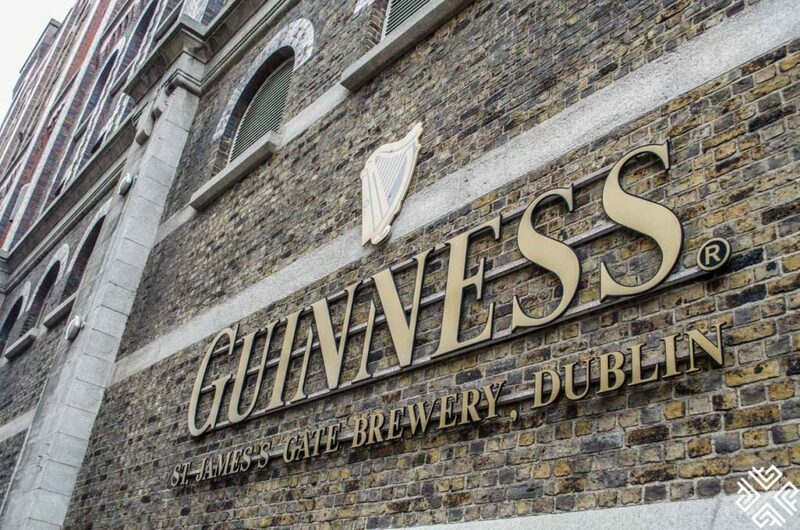 On your full day tour you’ll be stopping at craft shops, enjoy the natural beauty of Sally Gap, trying Irish whiskey, having lunch at an Irish pub, and even visiting the filming locations for PS. I Love You. In the evening after our Guinness trip, we actually took a train to Killarney that took us approximately 3hour and 14 minutes. Killarney houses a lot of memorable attractions and scenic attractions including the Ring of Kerry, Torc Waterfall and an incredible National Park. Check out my post on the Top Killarney Attractions. 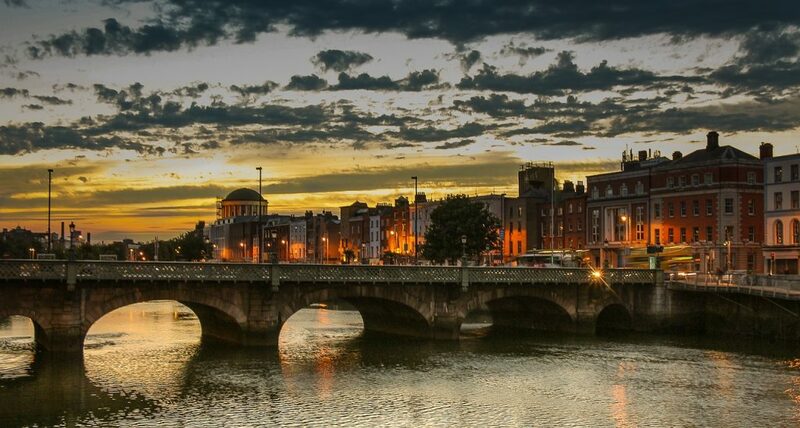 If you want to discover more of Ireland on your 2 days in Dublin, you can always visit Limerick and the surround Shannon region. 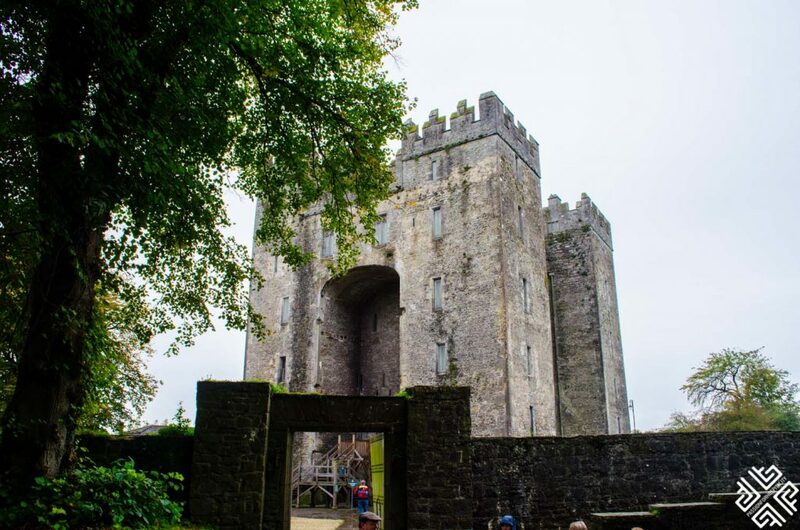 The trip will take you a maximum of 2 hours, 48 minutes and you can get to explore King John’s Castle at the heart of Limerick and enjoy the undeniable medieval atmosphere around you. 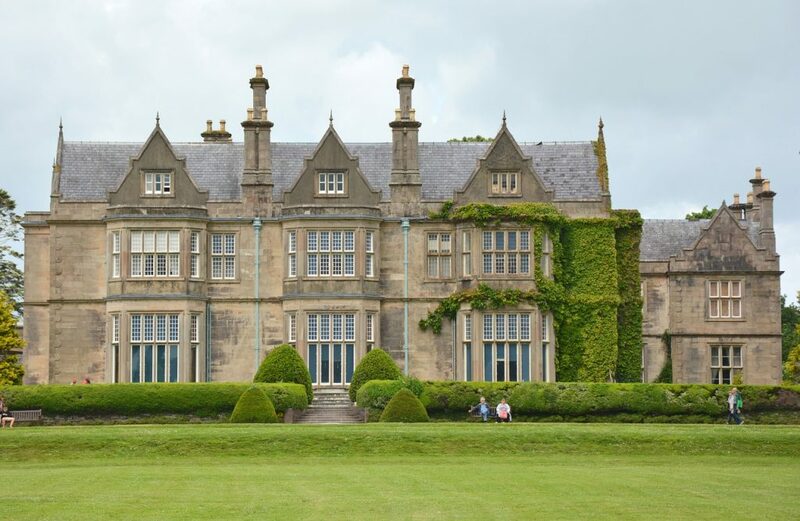 Read all about it in my detailed post Your Perfect 36-Hours Guide to Shannon Heritage, Ireland. 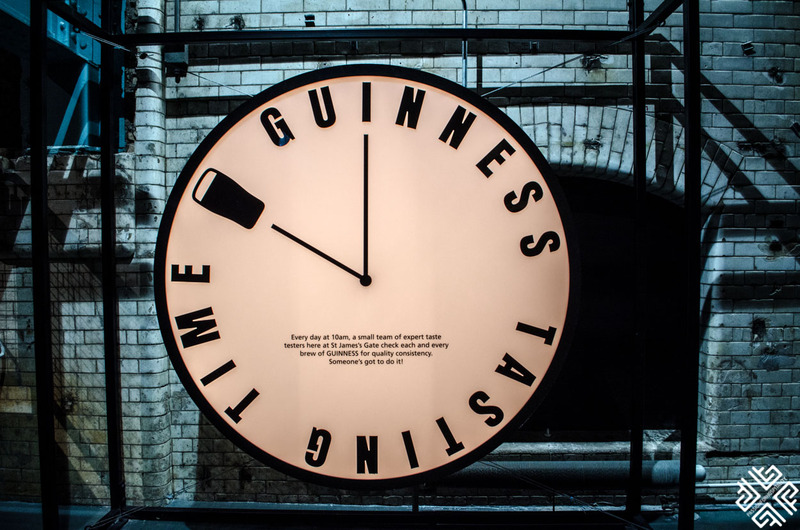 I hope that you find my guide to how to spend 2 days in Dublin itinerary useful. Have you been to Ireland? Let me know what you liked best in the comments below.